I should have the registration ready soon for the Spring Retreat which is February 26-27, 2016 in Washington IL. The optional Workshop and Yarn Crawl Fun Day starts on Feb 25. The registration will work like the other retreats. You will get the information about 2 weeks before the earliest postmark date which will be Dec 1. That’s after Thanksgiving here in the US and everyone should have time to get the information, fill out a registration and send it in by US mail. I will put that out in a separate podcast episode which will say clearly in the subject line that it is for Spring Retreat. 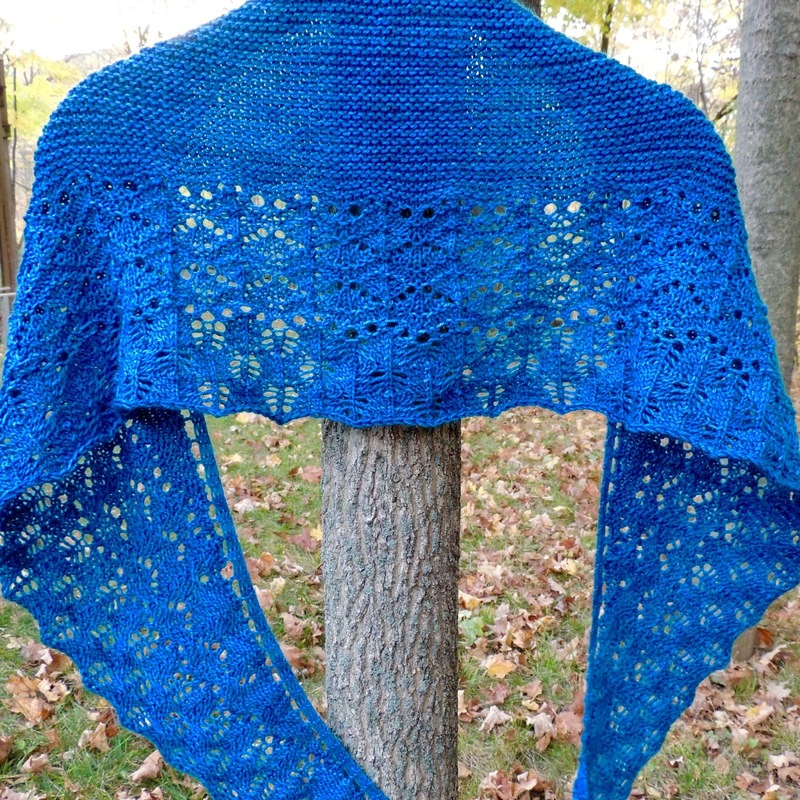 Links to the registration materials will be on the website and in both Ravelry groups. As we receive registrations your name will go up on Ravelry in the thread and you will be ear-burned; i.e., you will receive a personal message. Last year everyone who wanted to come got in but that doesn’t mean you should wait around too long just to be on the safe side. I love your podcast. I would like to know if you could mention on your podcast a charity that a friend of mine has for children with Down Syndrome. My friend has a 16 month old son with DS named Christian. We live in the Chicagoland area she is donating yellow and grey hats for newborns diagnosed with DS. The Facebook link is below with more information. 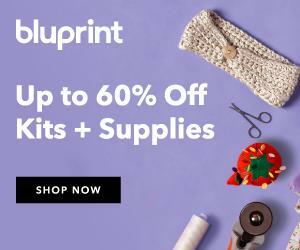 I am Knittergurl on Ravelry and anyone can send me a message and I will give them my address. Please tag the hat with your name and city/ state. Thank you in advance. We can use as many hats as possible. Paula, I really enjoy your podcast and have since the beginning. The interview with Elizabeth is lovely. I have a comment though, about the new book. I am not a designer, just a knitter, so maybe I don't understand. I don't wear pullover sweaters, I find I'm too hot. I love cardigans. 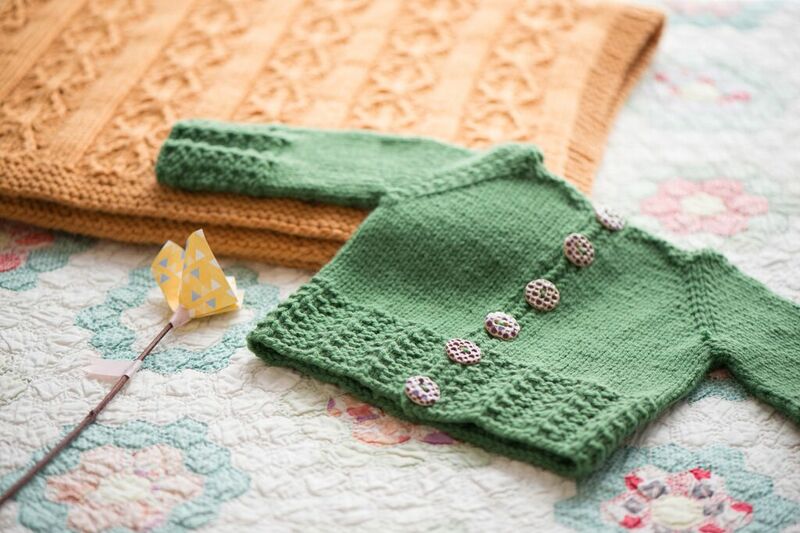 I love only one cardigan from Elizabeth's book and I would have to purchase the whole book for that one pattern which I don't want to do. Is there a reason why patterns cannot be released individually? Maybe you could talk about this sometime on your podcast. I hope this finds you rested after your wonderful Cornerstone Retreat! It looked like great fun! I brought back quite a bit (understatement. It was like puppies at the pound. I couldn’t leave it behind!) of yarn from Maine. When I got home, I moved around some things on our bookshelves and put some of it there and also in a basket, where I could see and enjoy it. But my LYS lady told me that it wasn’t good to store yarn that way — that bugs (especially silverfish, she said) can get in it. I have always stored mine in ziplock bags, so I put it all up. And I started wondering how you store yours and if you have ever addressed this subject in your podcast. I think I remembered seeing yarn stored in baskets in one of Susan’s video podcasts. I realize that you two live in the north and may not have as many “critters” as we do in the south. Any information or thoughts would be greatly appreciated. Still basking in the glow of Maine! PS. My LYS ladies are very careful with their yarn, moving it around every January and July (at which times all is 20% off!!). They have a huge inventory, so I know yarn care is something they are very, very careful about. They could lose their whole inventory to bugs. But I’m wondering if this is necessary for an individual. Indian Summer is here. We are having nights when the temperature dips down to below 32 deg F and then by 11 AM you can go out comfortably in shirt sleeves or a light sweater or jacket. Today, Tuesday Nov 10, is bright and sunny. Our woods is looking undressed. The oaks are still clinging to their leathery brown leaves. The maples have let go of most of their leaves with only a few thin ones hanging on. There is still some green foliage in the underbrush, mostly the invasive honeysuckle shrubs. We can see all the way down to the creek at the bottom of the ravine and it will be that way now until April. Last week my husband called me to the window while he was eating breakfast to say, “Look, the juncos are back.” There they were… the little gray and white birds hopping along the ground below the feeder. The unassuming dark eyed junco is a sure sign that winter is nearly here. We’ve had our fireplace burning on a few evenings to take the chill off. During night we hear the calls of the barred owls and the howling of coyotes. Bob disassembled the flower pot water fountain that attracts the birds. I miss that fountain outside of the window here as I often see so many birds and squirrels drinking from it. Until the spring they will have to go to the creek for fresh water. · May leak if chamber collects condensation. Need to drain after each use. · If you just want to quickly press one thing you still have to fill the boiler tank. The Rowenta is a good iron too but I can't say too much about it because 90% of the time I use the Eurosteam. I haven't tried putting water in the Rowenta. 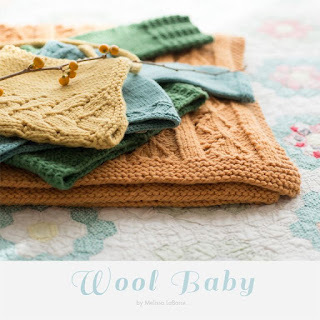 Next week I will review Wool Baby by Melissa LeBarre. It's a beautiful collection for the wee ones. There will be a giveaway so be sure to listen to Episode 230. For this KAL, pick any Quince Baby/kid pattern, grab your Quince yarn (non-Quince yarn will not qualify for a prize, sorry! ), and get knitting. Tell us what you plan to make and in what color! This is the chatty thread, please post your FOs for this KAL in the FOs thread. Official dates: Starts Monday, November 9th, 2015, ends Monday, January 4th, 2016 (end of day). Prizes: We’re shaking things up this time around! (Translation: we’ll have more prizes to offer, and they won’t be specific to posting finished projects at the end of the KAL!). More specifics on this soon as the KAL gets off the ground. Week 1: To kick off this week, we’ll be giving away 10% off your next order at Quince & Co. Woohoo! To enter: From Monday, November 9, until Sunday, November 15, post a pic of your project to this thread. Since we’re just beginning, photos of your project skeins are allowable. ;) There is a limit of one entry per person—you’re welcome (and encouraged) to continue posting more photos throughout the week, but only one gets you entered. To win: We were originally going to pick one lucky winner for this week. But then we decided it would be more fun if everyone who posts a pic of their project receives a discount code. So post a pic this week, and you’ve won. We’ll send your code to you next Monday, November 16, when we also announce next week’s giveaway. We would love to share our favorite photos from the KAL on our blog at quinceandco.com. Also…tagging! Instagram users, go ahead and use this tag for this KAL: #quinceKAL; for Rav, tag your projects with quinceKAL. 15% off the Knitvent 2015 collection with KPKnitvent15 good until November 30th 2015. Sorry I couldn't get a photo of the Kenny Rodgers Snowman. Hi Paula. As always, I enjoyed your podcast. As it turns out, I am currently knitting Woodfords which is an Elizabeth Doherty design for Brooklyn Tweed. My LYS (Loop & Leaf) offered it as a class. Woodfords has a unique construction. It is my first top-down sweater and I am enjoying knitting it. I was pleased to learn of Elizabeth's new book from your podcast. 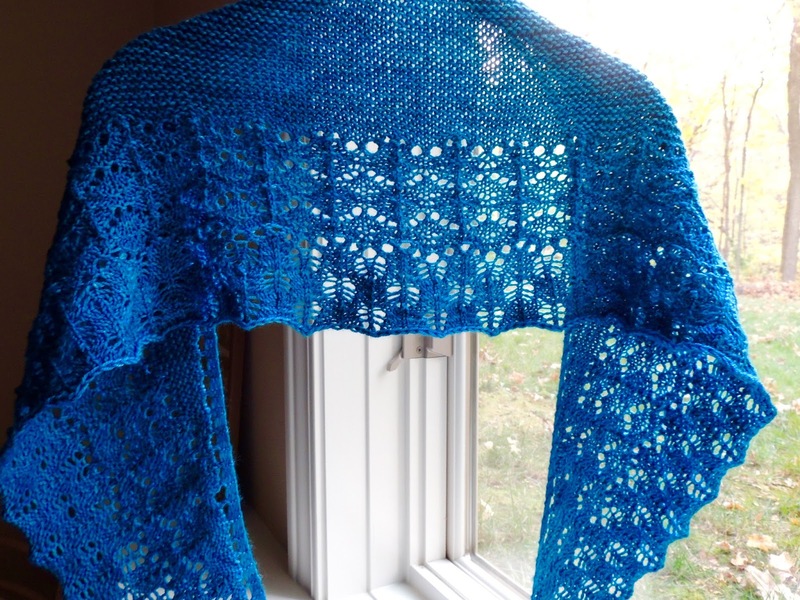 I also thought that the listener you mentioned might be interested to know that Elizabeth does have other designs available on Ravelry. On a side note, I bought two milkweed plants after listening to one of your older podcast episodes that included information about butterflies. 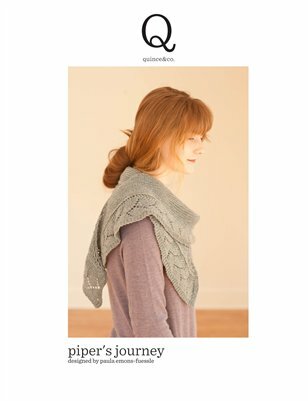 I've had some success and will email you on Ravelry with more info. Thanks for all you do! As you can tell, even though we've never met, I think of you as a dear friend.